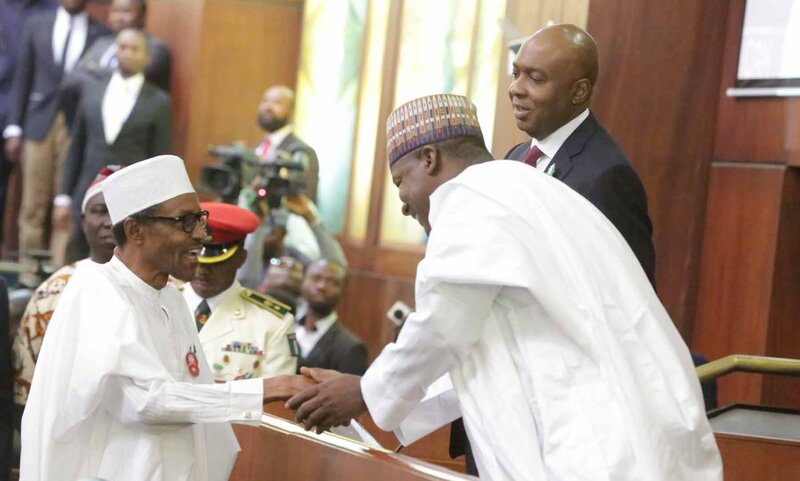 APC To Intervene In Buhari, National Assembly Feud? The All Progressives Congress (APC) is to wade into the feud between the Executive arm of government and its members in the National Assembly. Although the party said it does not have any position yet in the motion moved on Thursday by Senator Mathew A. Urhoghide to impeach the President, National Publicity Secretary, Mallam Bolaji Abdullahi said that it will continue to play its role to ensure that whatever needed to be done to ensure stability of the system is done. He said “The party has no position at this time because it is a party thing. So, the party does not have a position on that. Don’t forget that the National Assembly is not, are up of APC alone. “Our role is that we will have to continue to ensure that whatever we need to do to maintain stability in the system will have to be done. Meanwhile, the part has shifted its elective national convention which is supposed to produce a new leadership for the party to a yet to be announced date, but which the party says will be in July. The Nation reports that the convention was earlier scheduled to hold in Abuja on 14th May and the shift in date may not be unconnected with the observations made by the governors of the party that the timetable for the party congresses and national convention was too tight. Also affected in the shift in date is the party congress from the ward to the state level. Abdullahi said in a short statement made available to newsmen in Abuja that ward congresses will now hold on the 5th of May, while local government and state congresses will now hold on the 12th and 19th May respectively.